I interrupt my normal blogging Sunday morning schedule this week to make a very important prayer request for Nabeel Quereshi. It’s not about what he means to me. It’s about how he has been being used by God within the global discussion about Islam and in the way that he engages in such discussions without inciting hatred, without polarizing audiences and without diluting one shred of the gospel message of Jesus Christ. 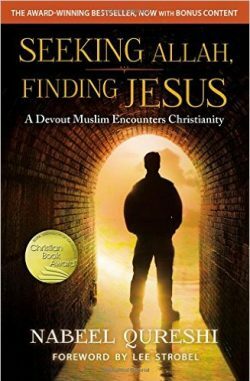 I first met Nabeel in 2014 through his book, Seeking Allah, Finding Jesus. 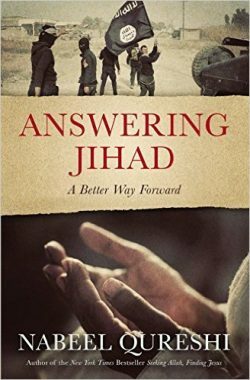 I was led gently through the pages learning about Islam, a key friendship with David Wood, Nabeel’s parents whom he dearly loves, and learning about the details of how God drew a devout Muslim into an unwavering faith in Jesus Christ. I was captivated. Nabeel is a gracious, intelligent man who minces no words yet still communicates in a way that even an enemy can still receive the message. I was enthralled. Nabeel wrote about his friends and family with such love I have carried them in my heart ever since, praying for each one. Who else can address such a heated topic and still have five stars on Amazon after 2, 422 reviews? Allow me to correct that; Christ’s character through Nabeel. Nabeel has been traveling with Ravi Zacharias International Ministries for three years, engaging in thoughtful debates about Islam on college campuses like Georgia Tech and Johns Hopkins University. 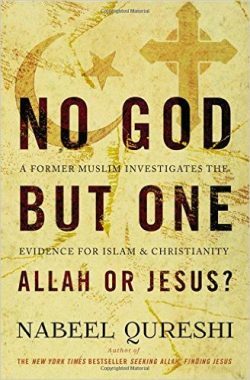 Nabeel has since written two more books, Answering Jihad and most recently, No God but One. Why does Nabeel need prayer? My brother in Christ is sick. He has been diagnosed with advanced stomach cancer. Here is his announcement on Facebook. Healing – This may very well be an attempt of the enemy to snuff out a bright light for Jesus Christ. Strength – That Nabeel live his dream, to honor God with every breath of his life until God takes him home to a secure salvation. His wife – This is a young couple (not that it matters). Michelle is being asked of God to journey well in this suffering alongside her husband. His parents – Nabeel loves his parents dearly and they will be digging deeply to find comfort in this situation. Jesus – That He be glorified. That His perfect story for Nabeel not be interfered with, in Jesus’ name!